Act 1996 and the Airports (Building Control) Regulations. 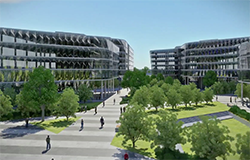 Any works of a building nature must be approved by both Adelaide Airport Limited (AAL) and the Airport Building Controller (ABC) prior to the commencement of works. All applications for Development Approvals should be made using the Building Application Package. 1. Adelaide Airport Limited: Applications should include the appropriate application form and all supporting documentation. 2. Airport Building Controller: Applications via ABC Online, click here. Click on image to access Airport Building Control Online (ABCO). Before Building Consent is issued for Building Applications, the AAL/PAL Environment Department need to review and accept contractor Construction Environmental Management Plans. For further information please refer to the Construction Environmental Management Guideline. The register of current Building Applications contains details of all applications received by Adelaide Airport as required under the Airports Act.